Let’s take your business and lets put it in the worst case scenario. Let’s say you are a business owner in the food production business. Your new product comes out and you supply a lot of supermarket chains. Your product hits the shelves and after 24 hours all the buyers of your product get deathly sick. You are found responsible and liable for almost 50,000 medical bills and because of your products doing. Now, your Business Owners policy has a products completed limit, but it is not nearly enough! What do you do? Business Umbrella Insurance , or Excess Insurance, covers ones excess liability, beyond the limit of the businesses current liability policies. Umbrella insurance is used when the unforeseen, tragic event occurs that makes claims so expensive, you need extra liability coverage. But, the umbrella only covers you when you are held liable or when you cause bodily injury, meaning your business is at fault. Does it Cover My Professional Liability? OF COURSE! 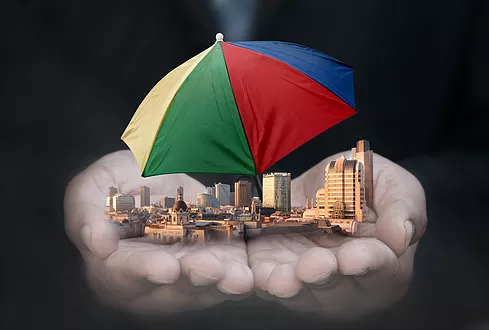 In fact, the business umbrella policy is becoming one of the fastest growing policies bought by professionals because of the higher risk for expensive claims. After your businesses liability insurance is exhausted, your umbrella will kick in to its limit. Business Umbrella Insurance is relatively cheap, and very valuable. As well as being a safe guard for your assets, the premiums may also be tax deductible.